I like your video. Its good. you talk to fast and i cant undestand what your saying at the end of it after your things over.talk slower. I’d love to incorporate bits of that into my scrapbooking. What a lovely idea Missy. Interesting blog keep it up. 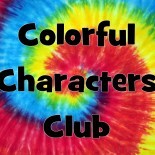 This entry was posted on January 31, 2014 by colorfulcharactersclub and tagged family, friends, fun, kid, kids, skit, teen, teens, Tween, tweens, video.